Finally available, the third 7" EP with six songs recorded at the same time as "Contempt For Man". This EP is visually a continuation of the previous 7" EP's and yet again released by Selfmadegod Records, February 2019. 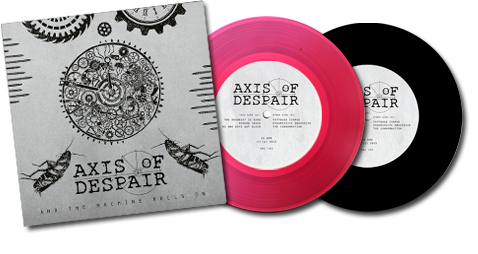 The EP is limited to 500 copies, 400 black and 100 in pink vinyl. Order the 7" EP here! Listen to "Emasculate" at YouTube! We're celebrating the release of our brand new 7" EP (more info above) and are getting mentally ready to do some shows during the first half of the year, both in Sweden and elsewhere. Check the live shows info further down on the page. More info to come in time! By the end of 2018 we released our Dead Kennedy's cover "Trust Your Mechanic" to be featured on the "Grindcore Über Alles - A Grindcore Tribute to The Dead Kennedys" from The Hills Are Dead Records. Enjoy our song at the releases and samples page! The two songs "To Hell with Tomorrow" and "Ripped off and Left Behind" recorded during 2016 for a Swedish compilation might not be released in that form anymore, but it's quite possible that they will be added to a likewise possible CD release with the three 7" EP's this year. Keep checking back for more info! We have a brand new t-shirt design called "2018" along with all our releases in a different array of formats. There are some oddities in the shop as well, and the amounts are limited so place your orders now! Go to the merchandise page! 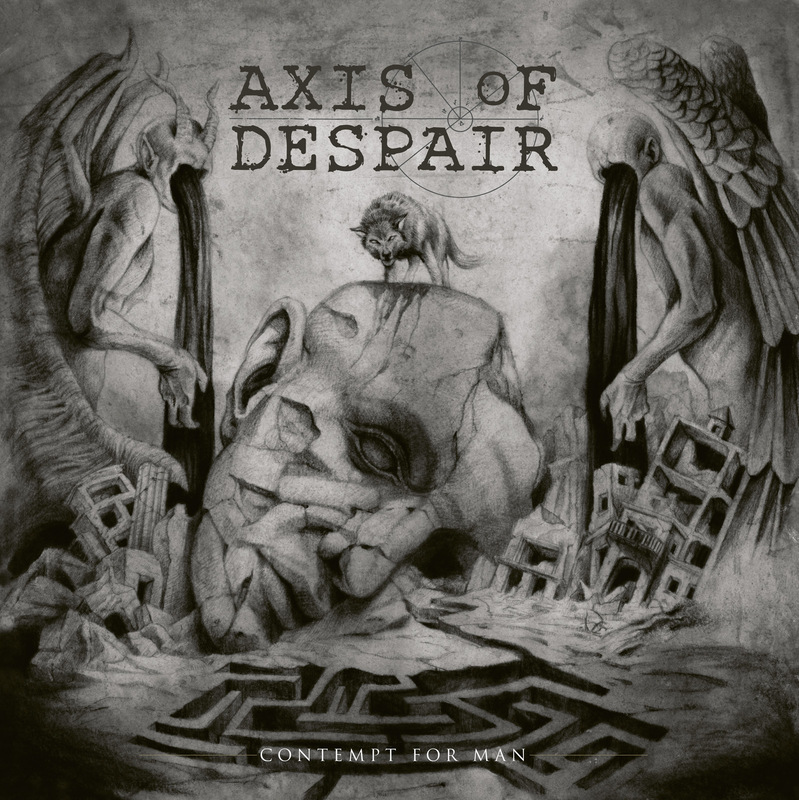 Debut album "Contempt for Man" released by Southern Lord Recordings on July 27 2018! Our debut album "Contempt for Man" was released on LP, CD and digital via Southern Lord Recordings, July 27 2018. The album includes 20 brand new songs and was recorded during June - August 2017 by ourselves and mixed on and off by Johan Berglund. The artwork is drawn by Paul Romano. The vinyl version of the album is released in three different colors - black, silver (as part of Southern Lord’s anniversary series) and gold. It can be orderd through Southern Lord US, Southern Lord Europe, through Bandcamp and through this very website. We are happy that the album finally is released so we can share it with the world. We are very satisfied with the songs and Johan's mix that certaintly has added a bunch of power to the material. Have a listen at Spotify (link in the footer). Here's a page with all the press coverage of the album. Check out our YouTube page for some teasers and pre-production demos! 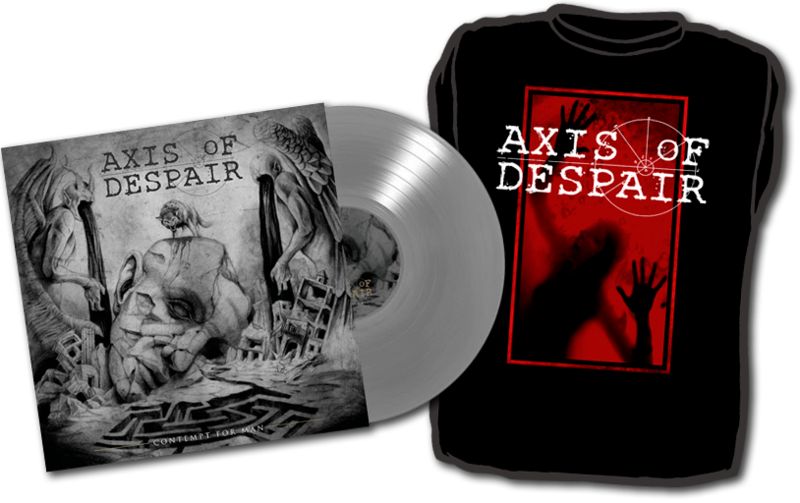 The second release from Axis of Despair is another six track 7" EP entitled "Mankind Crawls". The songs were recorded during the same session as "Time and Again" and is a co-release by Give Praise Records and Spela Snabbare Records. 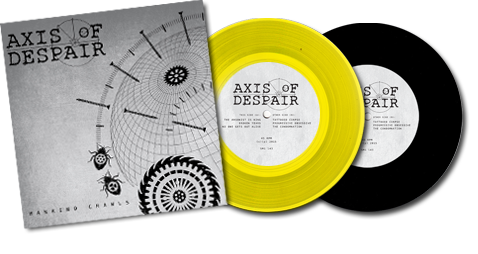 The 7" EP was released in October 2016 in 250 yellow and 250 black vinyls. Listen to "Under the Surface" at YouTube! 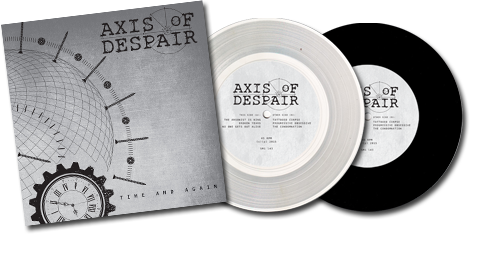 First release from Axis of Despair, "Time and Again" includes six tracks of true Swedish grindcore, recorded in the legendary Soundlab Studios in Örebro, Sweden. Released by Selfmadegod Records in a first pressing of 500 copies, 100 in a limited edition with clear vinyl and 400 in a regular edition with black vinyl. Listen to "Tattooed Corpse" at YouTube! April 18, 2019 - with Gravebomb and Deth By Audio at Belsepub/Sticky Fingers in Gothenburg, Sweden. July TBA, 2019 - UK tour with Human Cull. July 3, 2016 - First show as support to Black Breath at En Arena in Stockholm, Sweden. Other support acts were This Gift is a Curse and Fredag den 13:e.
October 29, 2016 - Second show with the legendary Finish crust icons Riistetyt and Crutches at Plektrum Bar in Örebro, Sweden. 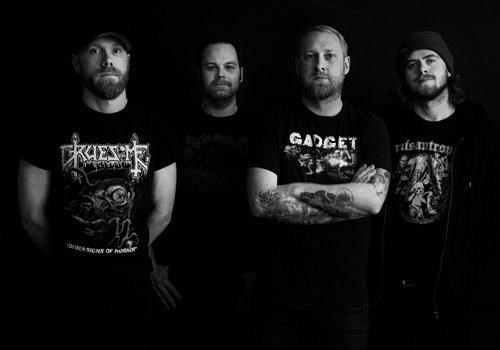 October 21, 2017 - Third show as support to Facebreaker at Scenit/Kulturhuset i Örebro in Örebro, Sweden. 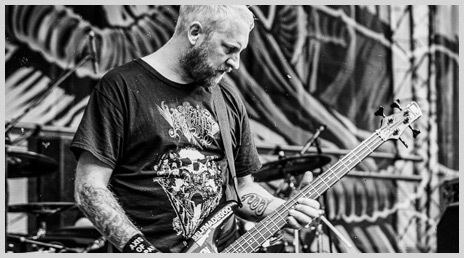 July 19, 2018 - First non-Swedish show at Obscene Extreme Festival, Trutnov, Czech Republic. November 30, 2018 – Supported by Tortura Eterna and General Genocide at Snövit, Stockholm, Sweden. April 13, 2019 – Secret birthday party show, Svärdsjö, Sweden.